The Insanity workout is a lifestyle changer. I’ve noticed that the first time I completed it and I notice that now even more after I started again with the whole program. Doing the Insanity workout again, I started to pay more attention to all the benefits it brings other than the good looks, all the benefits I haven’t felt for a couple of months. That is, given the fact that I finished the Insanity workout four months earlier and wrote this Insanity workout review. The interesting thing is that I knew even when I was done with it four months earlier, that I will be coming back. Finishing the sixty days once and assuming that I will just bury the program in my closet, or sell it online, it made me feel kinda uneasy. 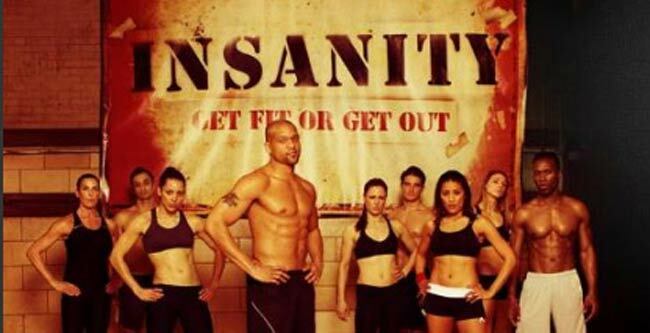 I knew that I was about to crave the challenge of Insanity once again, feel the need to work out with Shaun T, Tanya, Chris, Ana and the other guys for the second time. And I was right. At first, when it comes to procrastination, I was as guilty as the next guy and postponed things until recently when I decided that I will do the program once again. Boy oh boy I should have started earlier. The fit test was a blast. A reminder of the Intensity that was awaiting me ahead. I completed it, somewhat easier than I anticipated, though I got my share of being out of breath, tell you that. We are now Wednesday, that means that I’ve done the fit test on Monday. I was about to write a short post about it, but you can guess how that turned out. After showering and making some dinner, I was asleep in an instance. I woke up in the middle of the night, all thirsty and tired, got some water and drifted away again. The next morning was the first morning in months I felt so rested, refreshed, full of energy. I haven’t slept that well in a long time. Yesterday I did the polymetrics cardio circuit, and it was double the fit test in terms of intensity. I haven’t done that much cardio since the last time I completed the insanity. Half way through the exercises I thought I was about to quit. And here is something interesting. I forget how much Shaun T can get you motivated. When I finished the workout I was puzzled how I managed to get to the end of it. It’s interesting how, now after having the program completed once, I get to notice some things I didn’t the first time. And I did notice a lot then – just take a look on the Insanity workout review I made then, than I consider to be the most comprehensive review on the net by far. Here are couple of tips for doing the Insanity right even from the start. No mater even if you completed the program before you will still have hard timedoing it again. Therefore, get as much into shape as you can even before starting with it. I suggest trying some of the exercises that are included in the Insanity. Do the stretches too, since you lose flexibility more than you lose muscle and endurance.For those that start the Insanity for the first time, I suggest some high intensity cardio, as well as some strength exercises. Give yourself a week or two. The day when you start and the day before that, try not to eat that much food. Also go with something lighter as to prepare your body for the intensity waiting ahead. I advocated this even in the previous review about the insanity workout, but somehow I still did the same mistake. I ate more than I should have, and experienced some difficulties during the fit test. I felt the need to throw up, in short. Drink a lot of water after the workouts and before you go to bed. Drink a lot of water throughout the day, in fact. You see, if you didn’t do some high intensity training before this workout chances are you never even sweated close to the sweating you are about to experience now.That will change. Maybe not that much the first day during the fit test, but after the second day is over, and you complete the polymetric cardio circuit, you will see what I’m talking about. Wait some time before you go under the shower. You see, showering right after you complete the workouts on a given day, your body is still sweating. Even after you get out of the shower you will sweat and experience your body still reacting to the tremendous amount of stress that it took during the workouts. Your muscle will still be flexed, your hearth racing.Therefore, give yourself five or even ten minutes as to calm your body down, and then hit the shower. You will see the difference. Whatever you have planned during the first week of the Insanity workout, cancel it. You see, I do the Insanity in the afternoon, and after I’m done there is no way I can go out or do anything that requires some energy. It’s reading time or going to bed.This is of course the first week. After that you have energy even to spare. The first week is very hard since your body will need time to adapt to this Insanity, so make sure you have more time to rest. Follow the diet plan, or even start with your own customized diet, but try not to make that much of a change in regards to what you were eating before the Insanity workout. Your body will go through a huge change during the first week, so changing things even more is not a good idea. I even tried to follow my eating habits I had before the Insanity, and decided to make the shift gradually during the first week.Following this same logic, also see if you can avoid using supplements. The biggest change your body will go through is not in terms of looks, but rather in inside body processes. Things like hormonal balance, cardio levels, a lot of muscle regeneration and calories burning. Adding supplements may cause somewhat of an increased disbalance, so my advice is to start taking them after couple of days. The usual vitamin intake is advised. In my previous Insanity workout review I mentioned about tightening your coreduring the exercises even when there were no abs exercises to be made. I got that suggestion from a reader who posted in the comment section of the review.It’s a great advice if you want to engage your core even more in order to see even greater results. However, the first week of the Insanity workout is hard and painful even without this one, so try and postpone it till the second week. 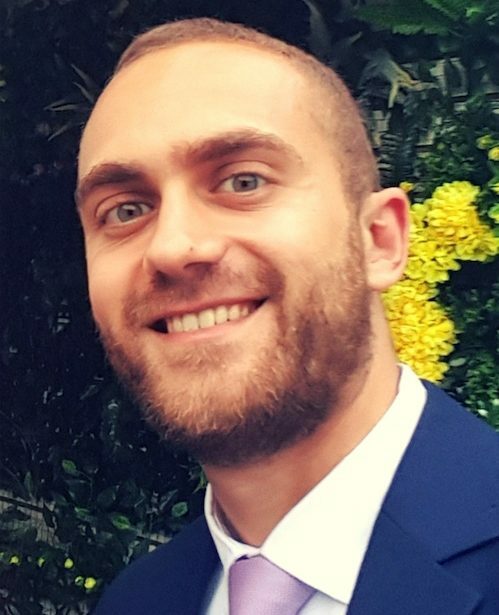 Being able to see the difference between the first time I did the Insanity workout and after, as well as experiencing the benefits and changes now for the second time, I noticed some benefits that seem to go along with this program. You will start to sleep better, get more rested. I now sleep like a baby. You will notice your posture improving even during the first couple of days. You will get that high feeling after completing the workouts. I think that nothing can produce so much Endorphin as the Insanity workout. You will be forced to go lighter in terms of diet. Either that or the threat of puking during the workouts, you choose. You will go earlier to bed. Guaranteed. You will get increased levels of Testosterone, thus being more confident, more alarmed, in better mood. You will start seeing yourself in a different light, and start appreciating your body for the machine that it is. You will enjoy tremendous amount of strength and energy. You will start to become a fitness machine. The Insanity workout is going to change so many aspects of your lifestyle and life in general. But here is my warning- once you complete it, you will find it hard not to try it sometimes again. 11 opinions already. What's yours? On last week of insanity and I love it ! Once finished I’m doing it all again. I’ve never felt so pleased with the results and have so much more energy and I work crazy shifts! You don’t know how glad I’m to hear this Donna :) It’s a lifestyle now, not a program, isn’t it? I’m an Insanity addict. Addict, I say :) You may also want to try the Insanity: Asylum, also by Shaun T. Shorter video duration, much, much more intensity. I bet you will love it too. Enjoy the videos and spread the word :) People really need to know about this life-changing jewel. Hiii, I am Helen from India. I never experience anything like insanity, the reason I am 85 kg but my height is 4.9 so just imagine my difficulty. But When I started insanity it was difficult but the enthusiasm of the team members encourages me to do insanity. I can’t stop doing this. Great Job. The one who discovered this should be rewarded 10000000 times. Thank you guys!!! awesome. Round 4 of Insanity started last week for me, I think its official I am and addict. Now these were not all back to back but regardless of what I do in between I still crave the challenge and total body results I always get from Insanity. That sh*t is bananas yo! Hey man. Nice article. My fiancee and myself are starting our program tomorrow. We have been itching to get started ever since we heard about insanity over a week ago. I just have about 3 kilos to lose but I’m looking forward more for trimming the ever present “love handles” etc. and hopefully getting some abs for the first time in my life! Will hopefully post something awesome in a month’s time. Whoop Whoop!! Great article. I’ve completed insanity 3 times over the last year. I underwent major kidney surgery back in January and gained a lot of weight and lost a tremendous amount of muscle. After a 3 month recovery, I began lifting weights and doing intervals on the treadmill to build myself back up to insanity again. I’m thrilled to say that I only have two weeks left in the program and in even better shape than I was before (despite the huge scar). I agree with all of your advice. If it’s your first time, definitely take it easy your first week and don’t eat heavy meals a few hours prior! I vomited from doing that once.. Lol know your limits and good luck to all of you in the program! I loved this blog. This is my 3rd or 4th time doing the insanity program and indeed, I do see with more detail all of the benefits from it. I love it and I even feel my body reacts to exercise faster than before. This is my third time doing insanity, and I agree, it’s amazing. Honestly I never thought I would be one to do at home workouts that weren’t dance. With that said I don’t have an issue with tiredness but I learned to save insanity till an hour before bedtime. I do it at about 9pm and sleep like a baby, wake up a little sore but full of life. Also, I eat right before working out. I get the whole vomit thing from some people, my partner the first time we did insanity threw up once and swore it off after meals. I don’t get not tightening your core on week one; that advice seems a tad dangerous considering the workouts. You need to keep your back straight and if you’re not tightening your core you’ll lose form, the guy constantly stresses “form”. The second partner I did insanity with quit a week in because of back problems; he never tightened his core and admitted that he didn’t even know what that meant when his back spasmed. Plus if you’re not tightening you’re core from day one you’re missing out man!! Shaun t says to take breaks when needed and to go at your own pace; you can do that and tighten your core, it’s okay if it slows you down a bit; you’ll speed up as u go along. But I can’t agree with not tightening the core for a week.